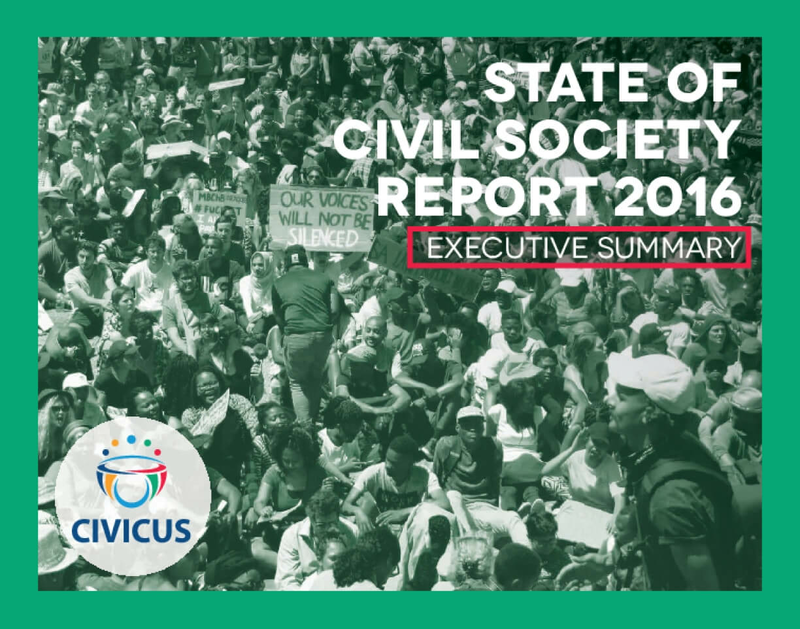 Each year the CIVICUS State of Civil Society Report seeks to celebrate the achievements of civil society, understand the conditions it works in and encourage action to address the challenges it encounters. In addition to reviewing the civil society landscape as a whole, every year the report has a special theme. This year's focus is 'exclusion and civil society'. Copyright 2017 by CIVICUS - World Alliance for Citizen Participation. All rights reserved.